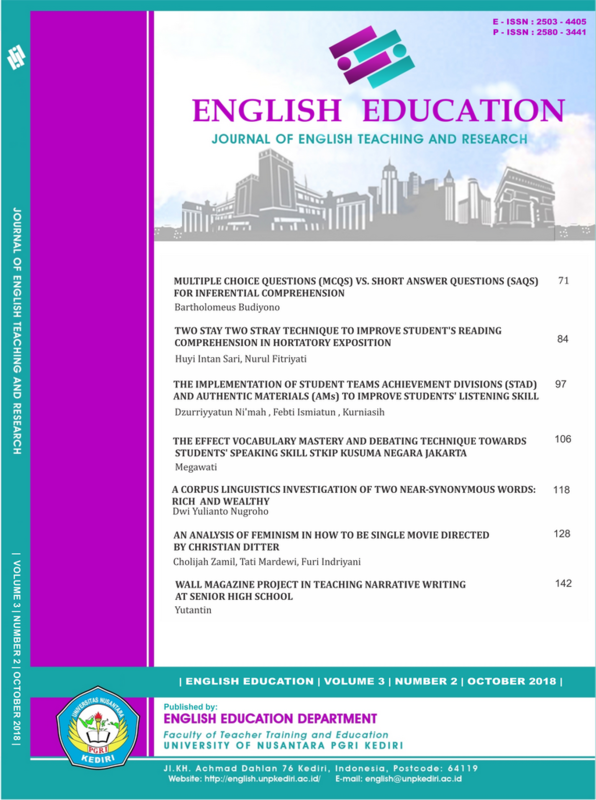 English Education: Journal of English Teaching and Research is a journal that accomodates the teachers, researchers, lecturers, and students who are interested in English Education, Linguistics, and Literature. 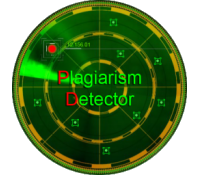 We welcome articles resulted from reserach or articles resulted from the theoretical review. We are glad to inform that in July 2018 the Ministry of Higher Education declared that English Education: Journal of English Teaching and Research is accredited journal in level 5 of SINTA (Science and Technology Index). We are gratefull for having this status because it becomes the prove of our workhard to manage this journal so far. It also makes us to work harder to make progress in the journal managements, so we can improve the quality of this journal. We are in debt from all of the parties that support and contribute to the management and the improvement of this journal. Thanks for all of the team in English Department of UN PGRI Kediri, the LP2M team, the contributors, the reviewers, the other journal managers in UN PGRI Kediri, etc for the participations, we can not do it without any help from all of them. In this Volume 3 Number 2 2018, we present eight articles resulted both from research and literature review written by authors from various schools and universities. We can identify that most of the articles in this volume focus on four language skills: Listening, Reading, Speaking and Writing, only one article focus on promoting learning process. There were also many variations in the research methods implemented in the article such as : Classroom action research, experimental research, and descriptive research. It is hoped that all of those articles can be beneficial for all of the readers, and we welcome to others writers to contribute to our journal for the next publication.